Giving up is not an option for Mason S.
Mason, a Senior Sales Consultant in Atlanta, made a life-changing decision when circumstances forced him to find a new career three years ago. His leap has paid off for Mason and for Enterprise. 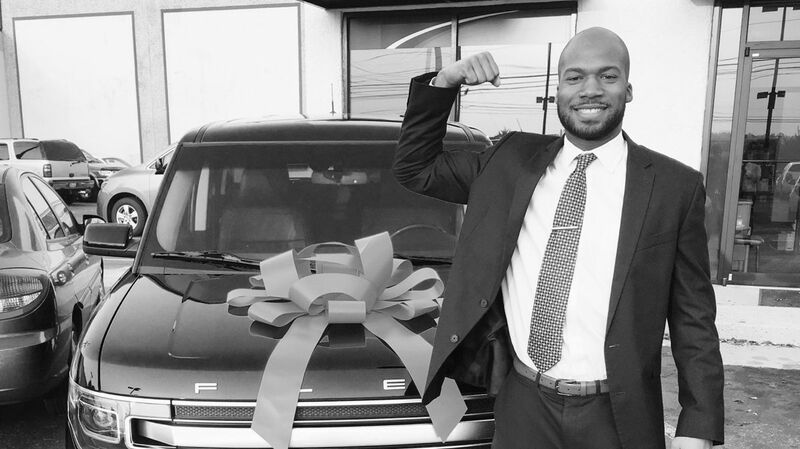 He set a record by selling 25 cars in one month, won a competition for selling the most cars in a 1.5-week span, and became a Senior Sales Consultant in 2016. -Set yourself up for success by creating high goals, even higher than what you might think possible. It motivates you, and if you hit those goals, it’s icing on the cake. -Create a personal brand that shows you are responsible, driven and a leader in the trenches. -Always be open and available to accept new challenges – even if it involves a move. Enterprise is proud to partner with Athlete Network for the fifth year in a row. Through the partnership, Enterprise teams up with over 500 university athletic departments in order to provide rewarding careers to current and former student athletes.